The latest GoPro Hero6 Black looks set to get an official unveil very soon. A leaked image of the new action camera has appeared online showing off what we can expect. 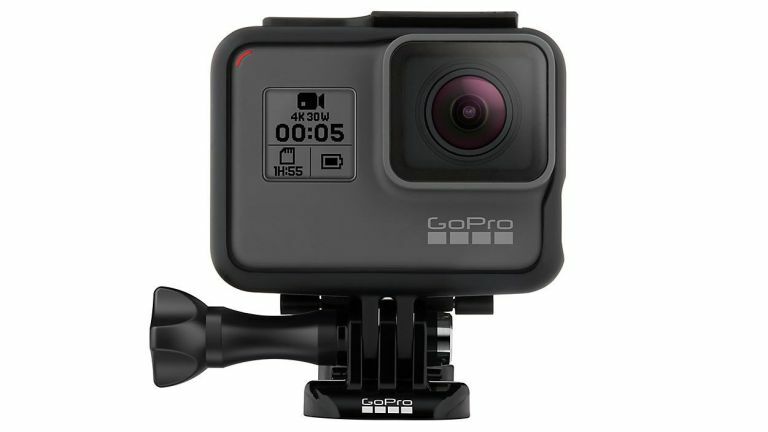 The leaked photo, sent to Photo Rumours, shows off a typical looking GoPro in black. There’s that familiar front-facing display, the jutting out lens and that usual shape and mount system. What’s different is inside. The packaging itself reveals some specs for the new Hero6. First up there is a 12MP sensor onboard, so no change there since the last GoPro Hero5. Water resistance is still good to 10 metres. It is also capable of 4K UHD video recording, which isn’t new, but the frame rate is. Now that 4K video will be captured at a buttery smooth 60 fps. This is the benchmark standard rate these days and is fast becoming common on YouTube and beyond. The rumour mill suggests we’ll see this new Hero6 Black get revealed later this month, potentially on 28 September. The price? As usual we expect it’ll start pretty high if it’s like the last model which cost £350.